Liu Chuan’s freedom has been quite limited, his freedom has been tied down by his father’s directions but that is not what he wants. He wants to be free, to have the ability to do what he wants and the ability to live his life his way. This is why he is going to take matters in his own hands and really fight for his freedom. And it was Jia En who has given him the strength for this fight. Liu Chuan is a strong guy but Jia En just makes him stronger and braver. He is not going to give up until he fights for it and fighting for it is what he is going to do. 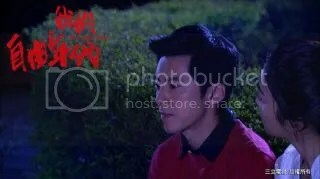 A series of mysterious events makes Jia En face fears but also guides Liu Chuan to the key of solving the treasure hunt. Daddy Lin’s birthday wish is for the man dating his daughter to give her a free future. Liu Chuan who is binded by a contract of freedom hopes that his father can return him his life. What will be Daddy Liu’s answer?